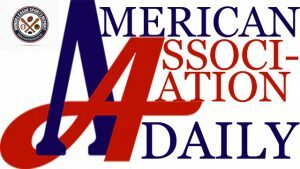 In today’s edition of American Association Daily, Robert Pannier looks at the first group of players acquired by the Milwaukee Milkmen, the team that will be playing their inaugural season in the American Association in 2019. October is usually a quiet time in the American Association. The 2018 season has been over for a month and, usually, managers are reflecting on the past season, thinking about what they should have done differently, and locking in the contracts from those players they wish to keep from the previous season. While it does occur, most managers are not heavily into the signing of new players. There is usually a grace period until after Thanksgiving, and then things get really busy in January. However, the Milwaukee Milkmen are looking to buck the trend, as they have already added 15 players to their roster. The first player to join the new franchise was closer Randy McCurry, who was acquired from the Fargo-Moorhead RedHawks on October 4. McCurry pitched two seasons with Evansville in the Frontier League before joining the RedHawks last year. The right-hander appeared in 36 games, saving 17. He tossed 37.1 innings, allowing 33 hits while striking out 44. The addition of McCurry instantly adds credibility as the team has an established closer who had 40 saves with Evansville before joining Fargo-Moorhead. A day later, infielder Garrett Copeland came from the North Division winning Gary Southshore RailCats. Copeland spent two seasons in the Baltimore Orioles organization before joining the RailCats last here. He played in 66 games, hitting .193 with 3 homers and 20 RBI, but he is an outstanding defensive player, who can play anywhere in the infield or outfield. On October 8, the Milkmen would acquired a baker’s dozen of players. The team made a deal with Florence in the Frontier League, adding OF Keivan Berges, RHPs Cody Gray and Jordan Kraus, and C Skyler Ewing in exchange for two players to be named later. While all four players bring talent the Milkmen need, it is the acquisition of the two position players that were the keys. Ewing appeared in 61 games last season, hitting .300 with 16 homers and 51 RBI. He posted a .389 on-base percentage and was excellent int e field, making only 5 errors while throwing out 16 of 48 stolen base attempts (33.3 percent). He could easily slide into the No. 5 or 6 spot in this order. Berges appeared in 93 games for Evansville last season. The Keiser University graduate hit .281 in 93 games, scoring 51 runs while driving in 65. He clubbed 18 homers and had 36 told extra base hits. Plus, Berges appeared in 17 games out of bullpen, posting a 3-1 record with a 4.50 ERA. He will also be a middle of the order guy and should combine with Ewing to give Milwaukee some real pop. Kraus made 18 starts for Florence last season, going 8-5 with a 3.93 ERA. He tossed 119 innings, allowing 109 hits and 22 walks, while striking out 77. Gray was 5-4 in 24 appearances, 12 starts, with a 6.17 ERA. He threw 77.1 innings, allowing 81 hits and 22 walks, while striking out 76. While the Milwaukee Milkmen added six players via trades, it was player signings where they have filled their roster. On the 8th of October, the team signed nine players, including RHPs Krystien Johnson-Battilana, Tanner Kiest, and Dan Ward, LHPs Jared Koenig and Kevin Matthews, IFs Will Kengor and Thomas Roulis, C Christ Conley, and OF Isaac Benard. While the team added some quality arms, as with their previous acquisitions, it was the position players that really were the highlight. Kengor has been with Traverse City in the Frontier League the last three seasons. Last year the shortstop hit .311 in 95 games, recording 46 extra-base hits, including 13 home runs. He scored 58 runs and drove in 60 while stealing 17 bases. He should fit in nicely near the top of the Milwaukee batting order. Benard was also with Traverse City last season. The outfielder hit .284 in 87 games, scoring 49 runs, recording 38 RBI, and stealing 19 bases. He also posted an impressive .382 on-base percentage. Roulis was with the Birmingham Bloomfield Beavers of the United Shore Professional Baseball League last season. He recorded a .308 batting average last year in 40 games, scoring 28 runs while driving in 13. Roulis stole 14 bases and had a .387 on-base percentage. Koenig had a monster year for San Rafael in the Pacific Association last season, going 11-1 in 16 starts with a 3.54 ERA. In 96.2 innings, he struck out a whopping 140 batters, but did walk 51 while giving up 77 hits. Matthews reached as high as AAA, appearing in one game for Gwinett (Atlanta Braves) in 2017. He has 61 career appearances in the minors. Keist was with Cedar Rapids (Minnesota Twins) last season before an injury sidelined most of his season. The right-hander has made 28 appearances in the minor leagues and spent part of the 2016 season with the Lincoln Saltdogs. Johnson-Battilana was pitching for Davenport University last season. While it is unlikely that all 15 of these players will remain with the team come the opening of the 2019 American Association season, there is no doubt that this Milwaukee Milkmen club is serving notice that they came to play baseball. Last year’s new entry to the American Association, the Chicago Dogs, did not sign their first player until March, so Milwaukee is clearly looking to get ahead. With the culture this team is creating early on, no doubt these Milkmen are going to give a lot of opposing teams a sour face.